We raised £1,122 pounds for Children in Need on Friday the 16th of November. It was a fun day had by all raising money for an excellent cause. 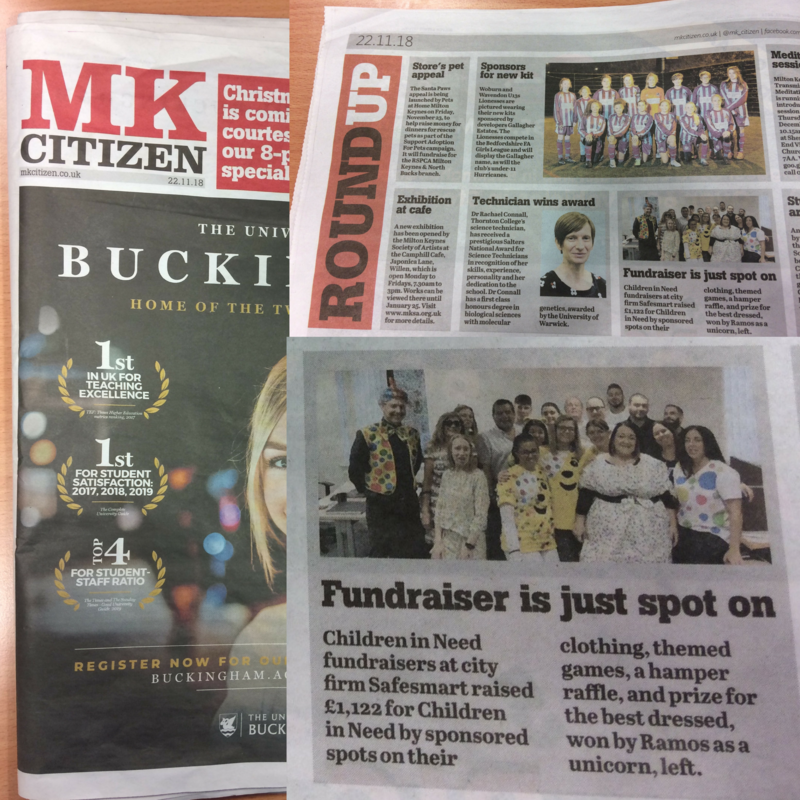 It’s great that MK Citizen featured us and we hope our activity may inspire more SMEs in Milton Keynes and around the UK to take part and be creative with fundraising ideas. We hope to go bigger next year and support more charities that keep people safe in line with our mission to improve safety, efficiency and affordability.